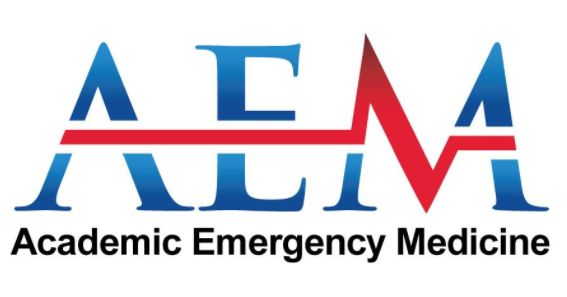 Welcome to the twelfth episode of AEM Early Access, a FOAMed podcast collaboration between the Academic Emergency Medicine Journal and Brown Emergency Medicine. Each month, we'll give you digital open access to an recent AEM Article or Article in Press, with an author interview podcast and suggested supportive educational materials for EM learners. Behavioral Changes in Children After Emergency Department Procedural Sedation. Jean I. Pearce, David C. Brousseau, Ke Yan, Keri R. Hainsworth , Raymond G. Hoffmann, Amy L. Drendel. Academic Emergency Medicine 2018, in press. Post-anesthesia negative behavioral changes in children are well documented in surgical and anesthesia literature, and these changes can last for days to weeks. It is not known if this is true for children receiving procedural sedation in the emergency department. The objective of this study was to evaluate the proportion of pediatric patients who experience negative post-discharge behaviors in the 1-2 weeks after procedural sedation for fracture reduction in the emergency department, and to determine predictors of negative post-discharge behaviors among study subjects. The study was conducted among a prospective cohort of pediatric patients receiving ketamine for procedural sedation during emergency department fracture reduction. Subjects between 2 and 18 years of age were enrolled at single pediatric emergency department between October 2014 and September 2015. A baseline measure of the subjects’ anxiety as perceived by treating physicians was measured using the Modified Yale Preoperative Anxiety Scale, and negative behavioral changes were measured by parents who completed the Post-Hospitalization Behavior Questionnaire both prior to, and again in the 1-2 weeks after discharge. A variety of statistical methods including descriptive statistics, odds ratios and multivariable logistic regression models were used to analyze the data. Of the 82 of 97 patients who completed follow-up, 33 (40%) were perceived to be highly anxious prior to sedation, and 18 (22%) had significant negative discharge behaviors after ED discharge. Predictors of negative postdischarge behaviors were high anxiety (OR 9.0, 95% confidence interval 2.3 - 35.7) and nonwhite race (OR 6.5, 95% confidence interval 1.7 - 25.0). Two of five children who undergo procedural sedation in the emergency department are observed to be highly anxious prior to procedural sedation, and almost one in four experience negative discharge behaviors after procedural sedation. Highly anxious and nonwhite children are particularly more likely to experience negative discharge behaviors compared to their peers. Brodzinski, Holly, and Srikant Iyer. "Behavior changes after minor emergency procedures." Pediatric emergency care 29.10 (2013): 1098-1101. Madati, P. J. "Ketamine: Procedural Pediatric Sedation In The Emergency Department." Pediatric Emergency Medicine Practice 8.1 (2010). MacLaren, Jill E., et al. "Prediction of preoperative anxiety in children: who is most accurate?." Anesthesia and analgesia 108.6 (2009): 1777.